Llanfairfechan Croquet club is undergoing massive developments. 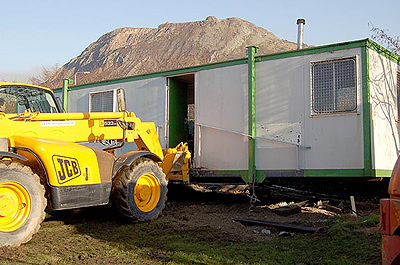 A new clubhouse is being built at a cost of £125,000. 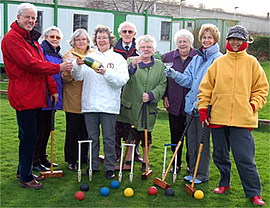 They have been granted £93,000 from the Welsh Assembly which together with grants from the Croquet Association, Conwy Council, Llanfairfechan Town Council, various Rotary clubs have made the exciting venture possible. The club have also raised substantial funds from Life Membership (at £400) and a Buy a Brick fund raiser. Moneywise, still not quite there with £20,000 still to be found, so still fund raising but what a fantastic achievement so far, congratulations to everyone at the club.